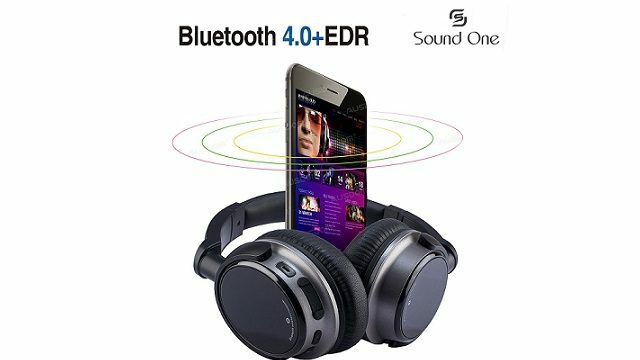 Sound One launches Sound One QY-V6BTL Bluetooth headphones in India. It is being touted by the company as very best Wireless Headphone at the most competitive price, yet again to cater to the needs of Indian consumer. The headphones have HD sound clarity, soft cushions for comfort and long-lasting battery. Packed with all the best specifications, it is confident to win the hearts of the consumer. The salient features of the products are it has Advanced Bluetooth CSR version 4.0 Latest technologies. Stream music directly from your smartphone or tablet, and be free of annoying, tangled cords. HD Sound gives you a consistent, balanced performance. Even when you have to turn it up on a plane, the sound stays true to your music. Rechargeable lithium-ion battery delivers up to 20 hours per charge so you can listen wirelessly for longer. Or, with the included backup audio cable, you can plug in and get 40 hours. HDl-microphone system makes your calls clear from both ends. Designed for comfort – Premium, lightweight materials make for a comfortable fit, so you can love your music all day. These headphones were designed to be small enough for you to comfortably move around.